We all know what it is like to find yourself with an unexpected bill to pay, whether it is a washing machine in need or repair, a burst pipe, the car failing its MOT or even something as simple as the kids needing warmer clothing to get through a particularly snowy winter. Most of us are able to put these new expenses onto a credit card and repay them over time. For some people, however, even trying to keep up with the cost of living can become a genuine hardship. It is an alarming statistic, but according to the Better Banking Campaign as many as 7 million people in the UK are unable to get access to basic financial products, such as overdrafts, credit cards or personal loans. Even more disconcerting is the estimate that more than 1.5 million adults do not even have access to the most basic bank account. The Better Banking Campaign was created to help the socially disadvantaged gain better access to the basic financial solutions to everyday problems that most of us take for granted. They have been putting pressure on banks to look more favourably on people with lower incomes, and give them the tolls to prevent them from getting into serious problems with debt. Lack of access to mainstream credit facilities can have serious repercussions for the socially disadvantaged. 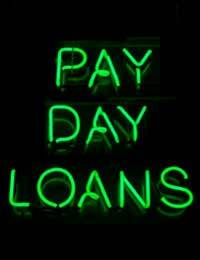 People on low incomes who run into difficulties frequently find that, if they are refused help by banks or other financial institutions, have little choice but to borrow money from alternative sources, such as payday loan companies or loan sharks. These ‘off the books’ loans usually come at a high price, with extortionate interest rates charged. One notorious loan shark charged a customer an interest rate on a £500 loan of 2,500%. That particular loan shark was jailed, but many others resort to strong-arm tactics to ensure that people pay up and stay quiet to the authorities. After more than a decade of what have been called ‘lose financial practices’ whereby people have been given high levels of credit without necessarily proving their income, banks began tightening their practices from 2007 onwards. Now, however, people are calling on banks to be responsible as well as frugal, and stop refusing credit to people who are in genuine need of financial assistance. One particular solution that has been explored is the launch of a simple bank account available through the Post Office. An independent consumer association called Consumer Focus has estimated that up to 1 million living in poverty in the UK could be taken out of ‘financial exclusion’ by having access to such an account. It is believed that the government is considering ways to implement this, but with a general election looming such an initiative appears to have been put on the back burner for now. In the meantime, while banks continue to raise charges and tighten the lending for their ‘more respectable’ customers the plight of the socially disadvantaged gets worse.